We get a lot of feedback from clients who appreciate our dedication to high quality coins, superior knowledge of the hobby and our great customer service. Here are a few recent messages we have received. To the management of David Lawrence. Recently, I purchased a 1918 Lincoln Commemorative. I had the wrong shipping address and I expected I would lose the coin. However, Mary Lee, went out of her way to track down my coin and get it to me. I am very impressed and thankful for her efforts. I think it's time I delete my links to other coin services! Thanks again Mary Lee. Thanks. Sorry to bother you on a Sunday. As always your service is unsurpassed . One of the reasons you're tops on my list! 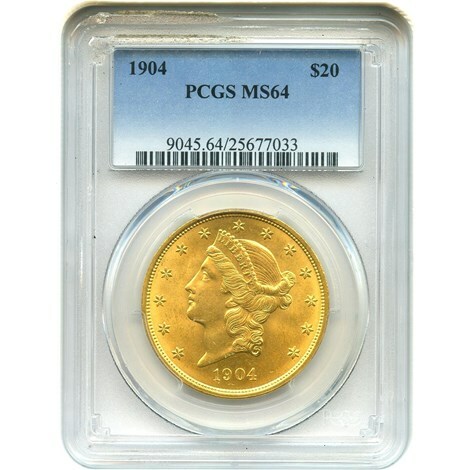 I received the 1904 Liberty Gold PCGS MS64 today. 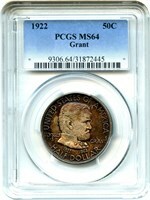 I was blown away-This coin was greatly under graded. The face was spot free and perfect. Wow! Thanks again! John, thanks so much. You and your company are the best on the internet!! Keep up the good work. Dear Mary, Hello Matt, Both coins reached me sound and safe! I could pick them up after work from our village Post Office, which unfortunately is closed on Wednesday afternoons. Again I am fully pleased with this purchase and couldn’t be happier! Both coins are absolutely fantastic. All I can say is thank you both, again, so much for providing such professional and customer friendly services. Have a great and successful day. Hi Mary, I received my coin today ms64 grant 50c. 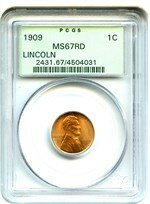 It's a beautifully coin, very nice toning on it. Thanks once again for your quick delivery and service. I hope to buy from you again very soon. 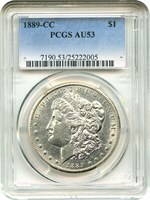 I received my first order today (1889 CC PCGS AU53) and was blown away. 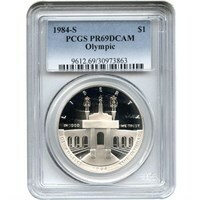 It was the most money I have spent on a coin so far in my collecting activities so I was a bit apprehensive. I swear it's nicer than some other CC Morgans I have that are supposedly MS65. What a relief. I know your company has a good reputation but seeing is believing. I will likely be in touch with you to secure the 3 remaining coins I need to complete my Carson City collection. Thanks Jason! I appreciate it. And I do like that coin. And I like how you and the DR Team conduct business. You have a great operation and wonderful inventory. My grandfather got me interested in coin collecting when I was 9 and I have always enjoyed them. Thanks for working with me and look forward to future business. Hi Matt, Thank you very much for the Olympic Silver Commemorative "weekly drawing" that was included in the order(s) package I received today... I am humbled to be in the presence of the collection of coins I have been fortunate enough to acquire through DLRC. A historical wide variety from around the world whereas if coins could talk, one would be awestruck by the stories they could tell! I am most appreciative that the day I finally worked up the courage to call DLRC, you answered the phone, and immediately put me at ease... You always treated me with kindness and respect, which helped propel my decision to make a substantial investment in coins with DLRC these past seven months. 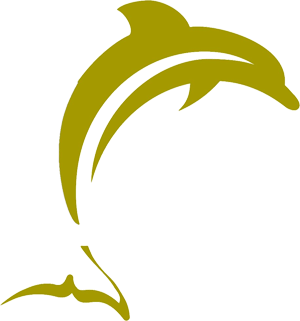 You have been a guiding light with any questions or concerns I posed; and please know that the qualities you have exhibited are very, very, very rare indeed - any customer who is lucky enough to work with you at DLRC is in safe and excellent hands. First impressions are lasting impressions, and because of our initial conversation, what was first intended to be a "one time only purchase" grew into a colossal collection of coinage with historical value beyond measure. Thank you for everything, and I look forward to working with you and everybody at DLRC on many, many future purchases.